Here's a winning party appetizer tray! A Low Carb Appetizer Tray with Fruit, Cheese and Nuts ! Everyone is accommodated and pleased. Depending on the number of people you are preparing for and the serving trays you have, serve all of these food items on one tray or on separate trays or plates. If you intend the party tray to be a "one shot opportunity" for your guests, then one large tray works fine. If, however, you want your guests to spend some time enjoying your appetizer offerings, use smaller platters or serving trays, and have several "backup trays" ready in the kitchen so you can easily replace the first ones as needed. You can use a bowl or dish for nuts for reduced carb diets, or Macadamia nuts and walnuts roasted in the oven on one of the trays or plates. 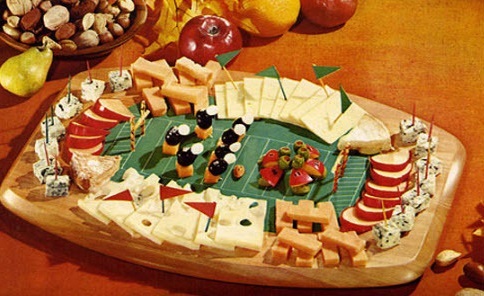 The number of different kinds of cheese you will need for your tray depends on how elaborate you wish your party tray to be and the number of people you are serving. 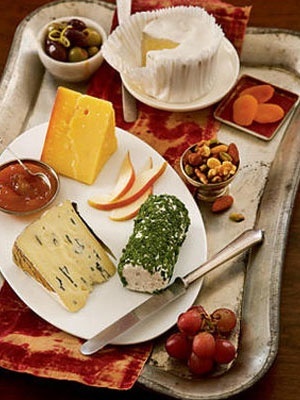 A typical cheese serving would be 1 1/2 - 2 ounces per person. For a basic cheese tray for a small group, try using three different cheeses - one soft such as Brie, one semi-soft such as Bleu and one hard such as Cheddar or Gouda. For large groups, I thick five different cheeses is ideal. Make sure to take the cheeses you are serving out of the refrigerator 30-45 minutes prior to arranging them on the tray so they will be at room temperature before cutting. Damp napkins may be used to cover the prepared appetizer tray until serving time. Don't miss the articles about cheese. Just click on the link for some interesting information. Fresh seasonal fruits such as cherries, strawberries cut into halves, grapes cut into very small bunches, watermelon cut into cubes, apples, kiwi, or papaya cut into thin slices are all wonderful choices. 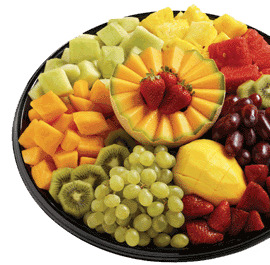 Allow about 3 ounces of fruit per person. Note: Not pears for this tray. Or VERY few thin slices. 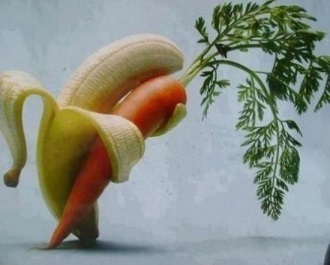 More carbs than other fruits. Adding other low carb foods to your appetizer tray such as thin-sliced beef, smoked salmon, prawns or bay shrimp, turkey and ham and certain raw vegetables are all ways to expand the offerings if you wish. Set out several piles of cocktail napkins or small plates and make certain each pile is readily accessible for your guests. Separate the piles somewhat from each other. Make certain you have an easy-to-see trash disposal areas set up. One trash can should be under your serving table, or to the right side of it. Think like your guests in terms of where they might be when they empty a paper plate or plastic glass, and put a trash can for disposables there. If you are using non-disposable plates and glassware, make sure you have a "bussing station" readily available. Enjoy your company and your wonderful low carb appetizer tray! Did you know? Carbohydrates are found in almost all living things and play a critical role in the proper functioning of the immune system, fertilization, blood clotting, and human development. A deficiency of carbohydrates can lead to impaired functioning of all these systems, however, in the Western world, deficiency is very rare. In addition, low carb diets seem to be more effective than low-fat diets in terms of loosing weight.